Up until now, several studies focused on the incidence of early (< 30 days) post-operative infections [4–11]. Overall infectious complication rates in these studies ranged from 10 to 41% [7, 9, 11]. Of these infectious complications, bacteremia was reported in 5 to 17% of the patients [9–11], cUTI was reported in 4 to 36% of the patients [5, 9–11] and SSI was reported in 8 to 33% of patients [4, 6–9, 11] after UDS, even when peri-operative antimicrobial prophylaxis was used. Although some of these studies reported on the causative bacteria [4, 5, 8–10], we found that only a few studies partially provided information on antimicrobial susceptibility of the cultured bacteria [4, 8, 9]. Particularly in the era of increasing antimicrobial resistance, susceptibility profiles provide an important pillar in the correct use of antimicrobial prophylaxis [7, 12]. The recommended guideline-based peri-operative antimicrobial prophylaxis for UDS in the Netherlands consists of cefazolin plus metronidazol . Cefazolin is one of the most prescribed (40%) prophylactic antibiotics for radical cystectomy in the United States as well . However, the same large cohort study showed that a penicillin-based regimen with a beta-lactamase inhibitor was associated with the least post-operative complications , suggesting increased gram-negative coverage is necessary in the era of increasing resistance. Guidelines [13, 15] advise not to extend the prophylaxis beyond 24 h after surgery, which is further supported by a recent study . Interestingly, none of the guidelines specifically recommends on the need and type of antibiotic prophylaxis during ureteral stent removal after UDS [15–17]. Ureteral stent removal is typically performed at least a week after UDS and involves manipulation in a non-sterile environment attached to the urological tract, which might predispose to infections, similar to manipulation of an obstructed common bile duct . European  and American guidelines  do recommend antibiotic prophylaxis for patients undergoing cystourethroscopy (low quality of evidence) based on a few studies that assessed effectiveness of prophylactic antibiotics during upper urinary tract stone treatment, but this might not be representative to ureteral stent removal after UDS. This study showed a high incidence of post-operative infections after radical cystectomy and urinary diversion surgery. Post-operative infections peaked at day 4–5. Furthermore, stent removal (around day 7–10) was associated with the occurrence of bacteremia and cUTI. The cultured gram-negative bacteria in urine and blood samples largely showed an inferred resistance to the used antibiotic prophylaxis regimen consisting of cefazolin. These findings question the timing and choice of cefazolin, currently the most used agent, as surgical antibiotic prophylaxis in radical cystectomy [13–16]. Several studies assessed the risk of early post-operative infections after radical cystectomy, showing high incidences but large differences in reported post-operative infection rates. [4–11] In our study, bacteremia was found in 18%, SSI in 8.2% and cUTI in 28% of patients. Rates of early post-operative bacteremia, SSI and UTI (< 30 days) in other studies varied between 5 to 17%, 8 to 33% and 4 to 36%, respectively. [5, 9–11] One explanation for the large differences in reported incidences of post-operative infections after radical cystectomy might be the different types of antibiotic prophylaxis regimens used in different studies. Pariser et al. showed that type of peri-operative antibiotic prophylaxis regimen might have significant effect on infection outcomes after radical cystectomy , which was also found in two other studies that analyzed post-operative infections within 90 days after UDS [14, 23]. 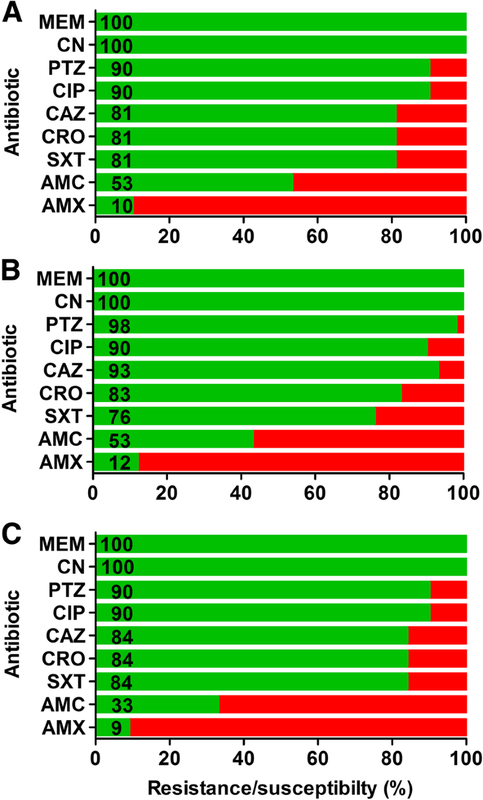 A recent cohort study in 8351 patients from 353 hospitals in the United States showed that 579 unique peri-operative antibiotic prophylaxis regimens were used. Only 28% of patients received prophylaxis according to the guideline . Also, the diagnosis of cUTI in patients with urinary diversion is complicated by its vague presentation and lack of a standardized definition in the literature. Even though in our study we only diagnosed cUTI when fever (≥ 38.5 °C) could not be explained by SSI or bacteremia (and urine culture showed ≥105 CFU/ml bacteria), we are aware that we might have over reported the amount of cUTI in this study as fever and bacteriuria are common after UDS surgery.